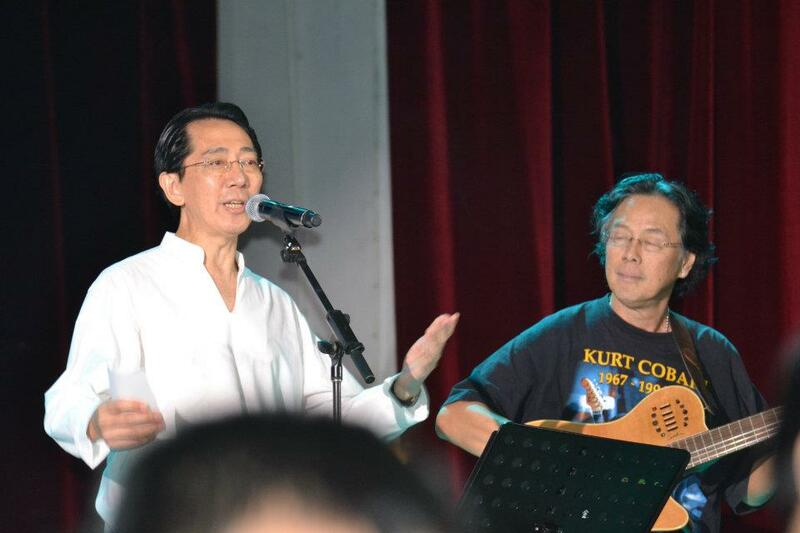 Dr Kua Kia Soong and renowned song composer Chow Kam Leong present “The Ballad of Chia Thye Poh” at the 2011 Lim Lian Geok Spirit Award Giving ceremony at KL Confucian School on 18 Dec 2011. In 1963, many activists in Singapore were arrested and detained. Chia selflessly stood in for a detained candidate in the general elections and was elected Member of Parliament on a Socialist Front ticket. He was thus also a Malaysian member of parliament from 1963 to 1965 when Singapore was part of Malaysia. A defender of the freedom of expression and justice, he was banned from entering Malaysia after he had delivered a speech at the Perak division of the Labour Party of Malaysia on April 24, 1966. He was arrested under the draconian Internal Security Act (ISA) by the Singapore Government on Oct 29, 1966 which allows for indefinite detention without trial. In May 1989, he was placed under house arrest in the island of Sentosa for nine more years. After 32 years of incarceration, he was finally granted unconditional freedom on 27 November 1998. Immediately after his restriction order was lifted, Chia issued a statement condemning the ISA. Soon after, he went to Netherlands and completed his Master’s and PhD degrees at the Institute of Social Studies at The Hague. Established in 1988, the Lim Lian Geok Spirit Award is the highest honour in the Malaysian Chinese community bestowed on those who live up to the spirit of Lim Lian Geok, the civil rights leader of Dong Jiao Zong in the fifties and sixties. His citizenship was revoked by the Alliance government in 1961 because of his opposition to the 1960 Rahman Talib Report that aimed to convert the Chinese secondary schools to national schools. 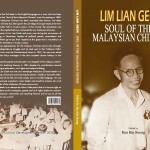 Since his passing in 1985, Lim Lian Geok has been beatified as the “Soul of the Malaysian Chinese”.